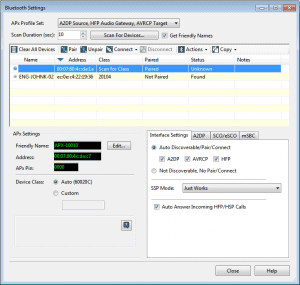 Note: This page discusses the Legacy Bluetooth module for APx audio analyzers. Audio Precision also has the newer APx Bluetooth Duo module for use with v4.5 APx500 software. 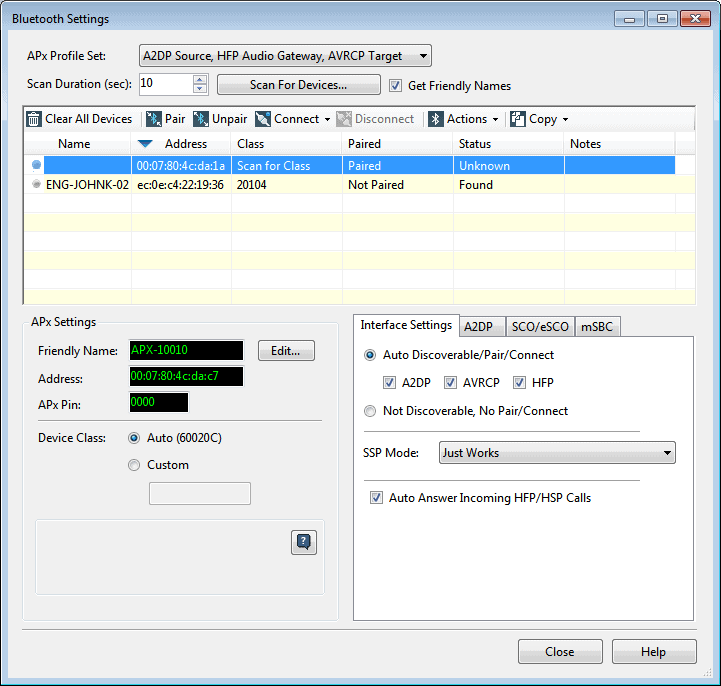 With APx, all Bluetooth controls are integrated into the analyzer software. In addition to standard commands like pairing or opening a connection, it’s easy to switch between profiles and roles on the fly, specify a custom device class, connect with a preferred sample rate or codec, or force open a SCO without ringing. For deeper protocol analysis, a link key is available to cut and paste into a Bluetooth packet sniffer. Bluetooth Wide Band Speech (HPF 1.6 profile, mSBC codec) provides increased bandwidth for speech signals, allowing manufacturers to significantly improve the audio quality of headsets and other audio accessories used for communications. Once connected, every audio characteristic can be measured. Key features include 30+ one-click audio measurements (including all standard weighting filters), 1.2M point FFTs, real-time oscilloscope monitoring, custom reports, statistical calculations, and quasi-anechoic acoustic measurements. With 21 measurements in one second, the APx multitone analyzer is ideal for Bluetooth production test. With APx, nearly any combination of input and output can be measured directly: Bluetooth, analog (2, 4, or 8 channels), AES3 or S/PDIF digital, I2S digital serial, PDM and HDMI are all available. 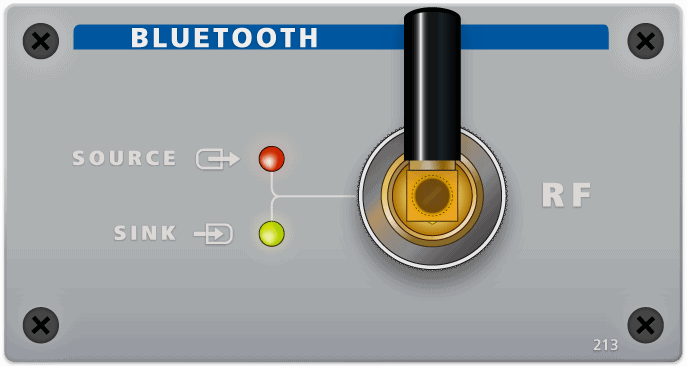 Most Bluetooth devices have Bluetooth at one end of the audio chain and a transducer at the other. APx’s Acoustic Response measurement makes 14 key acoustic measurements in 3 seconds and uses an energy time curve to find the ideal time gate quickly and easily. Obtain MOS values with the Perceptual Audio (PESQ) Option for APx500. The APx Bluetooth options acts as an ideal transmitter or receiver, allowing the device under test to be accurately assessed. N to SMA adapter included.